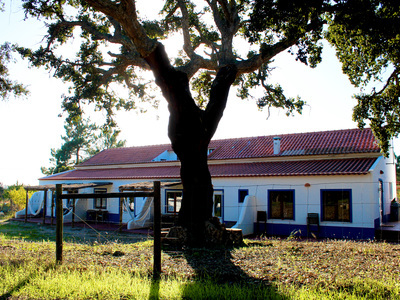 We are a small tourism located in the countryside, 7 km from the beach. We need help to treat our guests: to clean the rooms, make beds, prepare breakfast, cook small meals, treat the garden, make small arrangements. All the help is welcome. Our space promotes a simple life. There are no parties, guests are looking to relax. Normally they sleep early and woke up early. We can organize so you can have 2 or 3 days a week to go along the coast. The 1º (8a.m to 14 o'clock) . It consists of helping with the preparation of breakfast. We need help to replenish food, and after 11:00, get things off breakfast, clean the dishes, the breakfast room, the kitchen and help us with the check out of the guests. The 2nd (10:00a.m to 16 p.m.). We need help to clean rooms, bathroom and to make beds. The 3rd (16:00 p.m. / 23:00 p.m), we need help to organize and clean the outdoor area and the garden, to make small arrangements, to make the rooms daily, to welcome new guests and to inform about our space, about the zone and, if necessary, prepare and serve snacks. Most of the help is during the day.